Is the half-billion dollar AWM expansion the best way to commemorate the role of veterans? Photo: Ian Campbell. Region Media carried a story about 83 distinguished Australians signing a letter opposing the plan to expand the Australian War Memorial in Canberra at a cost of $498m. Since the letter was published, hundreds of people have signed a petition against the extensions project. Among the signatories to the letter were renowned Australian authors, Richard Flanagan, Thomas Keneally, and Don Watson, leading historians Marilyn Lake, Stuart Macintyre, Mark McKenna, Henry Reynolds, and Clare Wright, three former heads of Australian government departments, two former Australian ambassadors, a former Director and Deputy Director of the War Memorial, and the founding Chair of the International Campaign to Abolish Nuclear Weapons which won the Nobel Peace Prize in 2017. Out of the 83 signatories, 24 have been honoured with awards under the Order of Australia. The case for the extensions has been promoted vigorously by the Memorial’s Director, Dr Brendan Nelson, following a consultation process conducted behind closed doors in government and which then received feedback from just 134 individuals in its public phase. The plans were unveiled at a lavish media opportunity in Parliament House in November. The arguments for the extensions are deeply flawed and in part misleading. The Memorial’s own promotional videos show that much of the extra space will be used for a grandiose entry foyer or to ‘park’ decommissioned helicopters and aeroplanes that the Memorial has been bequeathed by the Department of Defence. This includes an F-111 aircraft, a type which has never been used by Australia in conflict. The Memorial also complains that only a fraction of its holdings can be put on display at any one time. Yet, most museums around the world are able to display only between five and ten per cent of their holdings. The Guggenheim in New York manages to display only about three per cent of its holdings, the Louvre in Paris around eight per cent. The Imperial War Museum in Britain probably displays a larger proportion, but over five separate sites. It is legitimate to compare the War Memorial with museums because increasingly the Memorial’s display elements overwhelm its role as a memorial. The emphasis on acquiring military ‘kit’ – large toys for the boys – is an example of this. Increasingly, critics of the Memorial have applied terms like ‘Disneyland’ and ‘theme park’ to it. 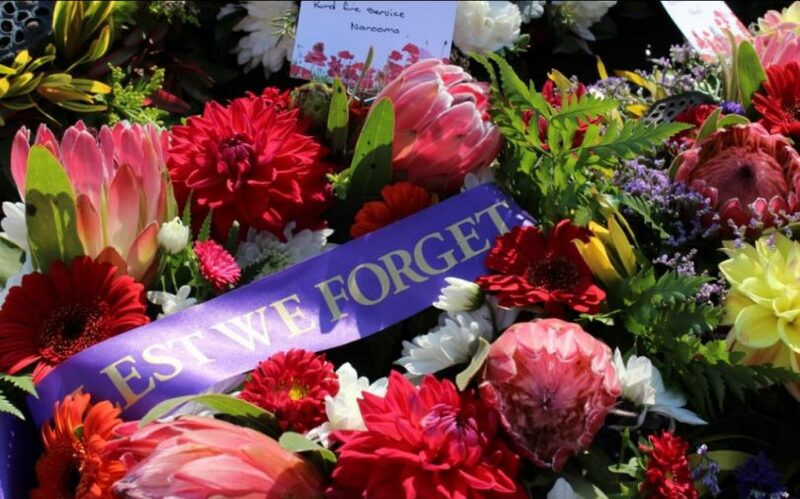 There is much more to Australian history than Anzac and overseas wars, but Dr Nelson, on behalf of the Memorial, persists with the furphy that the Memorial tells ‘our story’. There are, in fact, many Australian stories; even the story the Memorial tells about our overseas wars is incomplete. It concentrates heavily on what Australians have done in war rather than on what war has done to Australia and Australians. The Memorial has traded on its ‘sacred’ status to achieve better financial outcomes than other national cultural institutions. It has suffered less from the efficiency dividend than have other institutions and it gets an easy run through accountability mechanisms like Senate Estimates and annual reporting. It needs to be held to account more rigorously than it has been. Today’s veterans suffer homelessness and suicide and mental illness in higher numbers proportionately than the rest of us. There are far better things on which to spend half a billion dollars, such as increased expenditure on mental health services for recent veterans and on help for their families. That would be a practical form of commemoration. There should be equity between institutions and an end to special deals for the Memorial. Governments – and the people who vote them in – should no longer be taken in by arguments founded on spurious ‘sacredness’ and promoted by skilled spruikers – particularly when the project in question will be a massive and conspicuous legacy for some of them. As author Don Watson [one of the signatories of the letter] wrote in 2016, ‘That’s the thing about spin – or what goes under the banner today of “communications” – you begin to believe your own bulls***. Spin is the stuff that myths are made of’. Myths overshadow many other parts of our history that deserve examination and, sometimes, celebration. The current campaign aims to push back against a wave of it. What I found disgraceful is that the only space available in the current memorial to commemorate the 41 soldiers who died in Afghanistan is a corridor. I disagree. The AWM was built for and currently houses the conflicts up to ~Vietnam. To simplify those exhibits by squeezing the available space to me sounds ludicrous. Need more room, Oh I know, lets just remove the model of the battle of the Somme. The horrible irony of the situation is that Australians have not stopped going into war zones, and moreover, even the traditional concept of a war zone has changed and now involves peacekeeping operations, and by great extension, could also cover civil defence operations such as the operations to assist the floods in Queensland where the military have been deployed to aid Australians in a domestic environment. To remain current, the AWM needs to expand to adequately represent soldiers who served in Iraq1 and 2, Afghanistan and everything else we have been to since the 70’s. It will also need to plan to expand even further for the next conflict Australian politicians send them to – this is an important factor, and one of the reasons why the AWM is held in high regard and distinct from any other museum which is just a collection of historical pieces of history, no other collection is formed from artefacts that are contributed to by a group of people who had absolutely no say in being there. As I understand it that’s why it was given such pride of place in the architecture of Canberra itself. Also, to deny that the AWM does not itself play a role in mental health and closure for veterans is a gross oversimplification and beyond comment. David Stephens might gain a little credence if he also published his military service status which I suspect is zero. I’ve said goodbye to my mates there, I suspect many others have shed silent tears as well. I’m not against expansion, but I am against the destruction of Anzac Hall. There were a number of other options (six I believe) presented which would give similar expansion space, at a similar cost, without the destruction of an award winning, multi-million dollar building which is barely a decade old. None of these were even considered. I agree the devil is in the detail, but you wouldn’t want it to looking all tacked on like an afterthought of shoddy planning like the series of buildings posing as a hospital down Woden direction. Well said. Why would we want a bigger war memorial? Tell Defence to recycle their war machines. We need (not want) a bigger war memorial to adequately commemorate those who served in our more recent conflicts. Not at all. He completely ignored the role that the AWM plays in the healing process for our most recent veterans. Very badly said. Old mate apparently doesn't understand the link between those who served and the machines they served in - and doesn't even bother to find out that the AWM's RF-111C does indeed have a conflict history.